Born 1921 in Richwood, Ohio, Paul Junior Mitchell graduated from Harlem High School in Center Village, OH. He was inducted into the Army Ft. Thomas, KY, on May 16, 1944 and went through basic at Ft. McClelland, Alabama. after a furlough with his wife and three small sons, he went to Ft. Meads. MN in October. 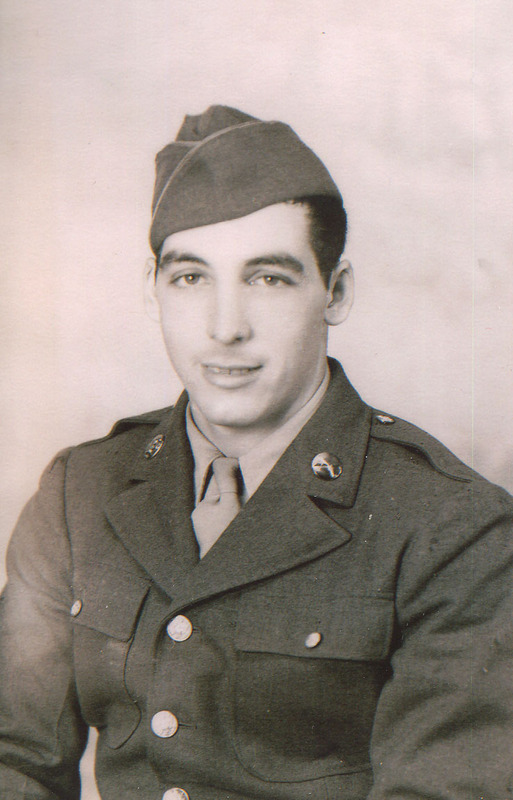 On October 31, 1944, he sailed from the US and arrived in France on November 9th where he served in Patton's 3rd and 9th Army as a NCO Rifleman in northern France, then Germany and the Ardennes in Belgium. earned Jesse had been in an ambulance accident and was in the same hospital in Metz. 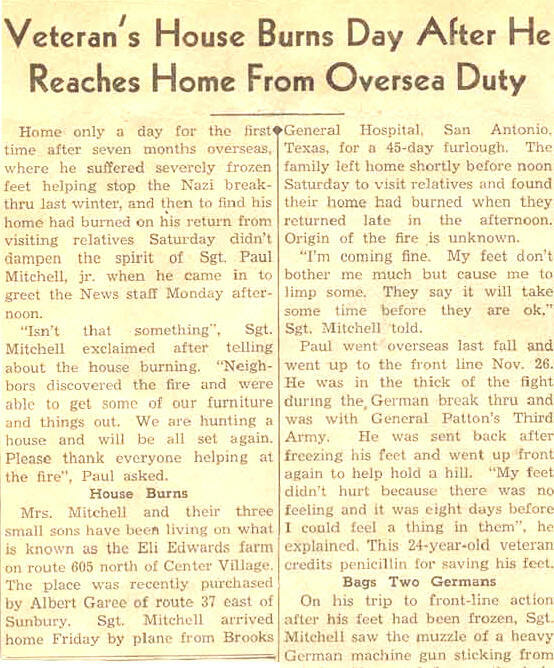 The family heard Paul was sent to a hospital in England the end of January. The end of March he was taken to Stark General Hospital in Charleston, SC, and finally to Brooks General Hospital in San Antonio in Texas. 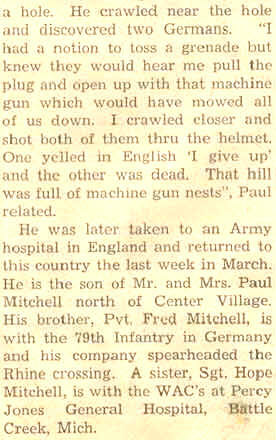 On April 29th, while Paul was still home on furlough, his brother Fred was killed in Germany. He was discharged from the army on July 31, 1945 from Ft. Sam Houston in Texas. In 1950, Paul graduated from Ohio State University with a degree in veterinary medicine. Paul and his wife, Thelma Chambers Mitchell, had seven sons and a daughter. He died in October 1994 in Macon, MO. 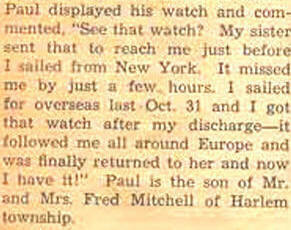 Many thanks to Paula Scott, Paul's niece, for the extra information on Paul Junior.